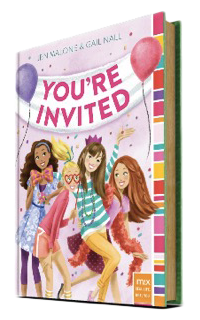 Kidliterati: Trailer Reveal for You're Invited by Gail Nall and Jen Malone! Trailer Reveal for You're Invited by Gail Nall and Jen Malone! And guess what? You can pre-order You're Invited in hardcover, paperback, or as an ebook! Yup. You sure can. In fact, Gail and Jen would probably be pretty happy about that.